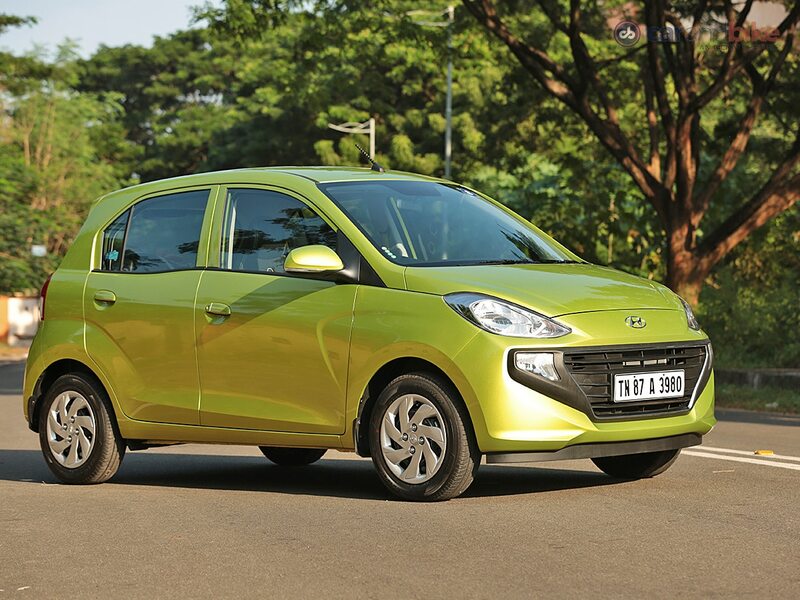 The second generation car brings many firsts to the segment, but unlike the previous Santro - which was the only B segment offering from the Korean carmaker - the new Santro has come at a time when there is plenty of sub-segmentation. 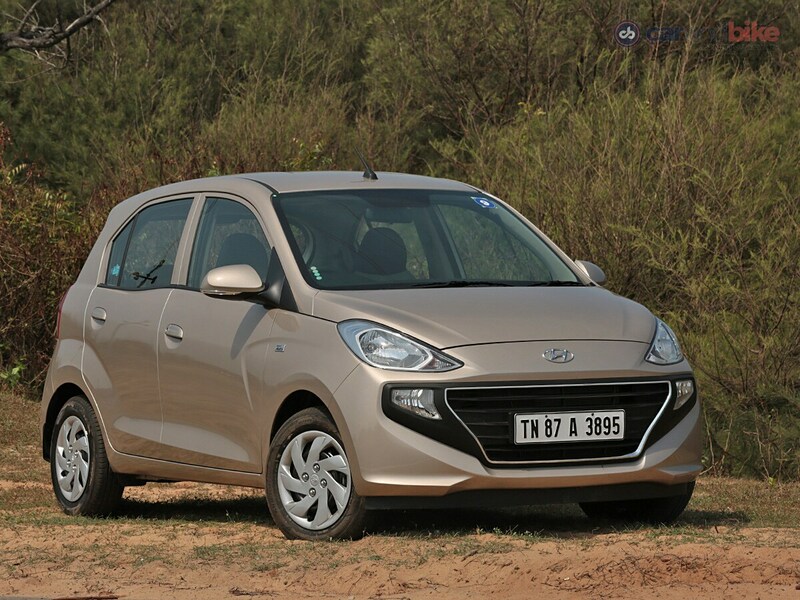 The cascade family grille up front, the raised hood line - with even the headlights and fog lights climbing much higher - which is new for Hyundai on the Santro. The wedge shape on the front fender is a representation of elephant ears, but 'boomerang' is what they're going with officially. 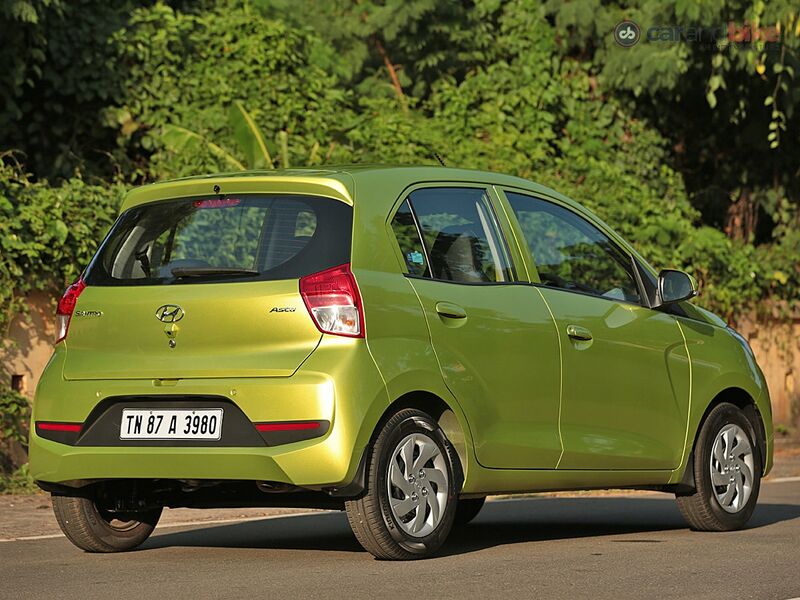 The taillight on the new Hyundai Santro could have been so much nicer. Its just too simple, and while well executed, is just very old style. But the rear bumper with its two-tone and even the way the tailgate has been done - are both quite distinct and nice. 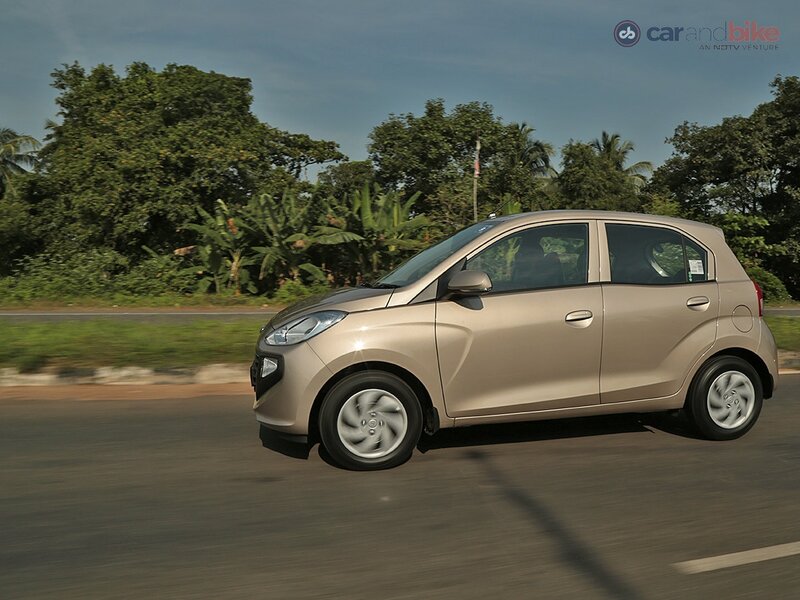 The 2018 Hyundai Santro runs on 14-inch wheels, but does not get alloys even on the range-topping Asta trim. 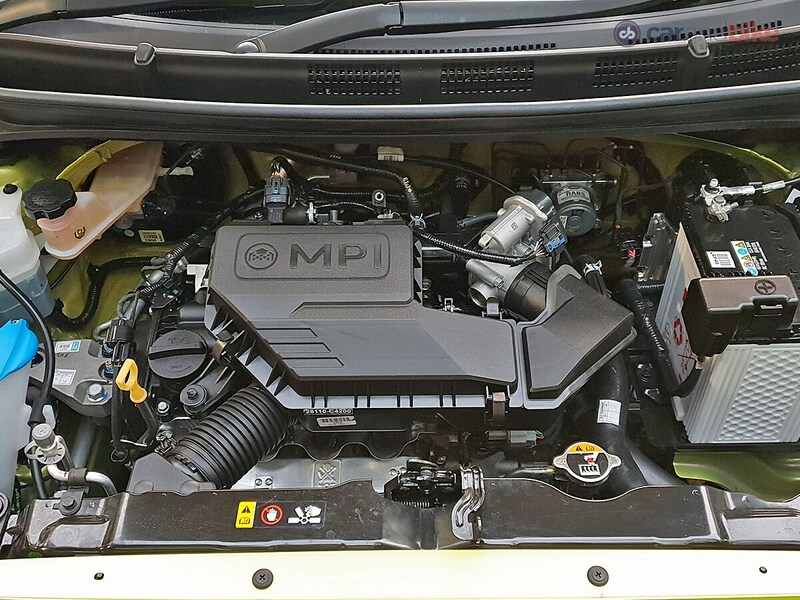 The new Santro sports Hyundai's old faithful 1.1 litre Epsilon engine, which makes 68 bhp and 99 Nm of peak torque. It's responsive though not electric, and does the job well enough also owing to the fact that the car is not heavy. 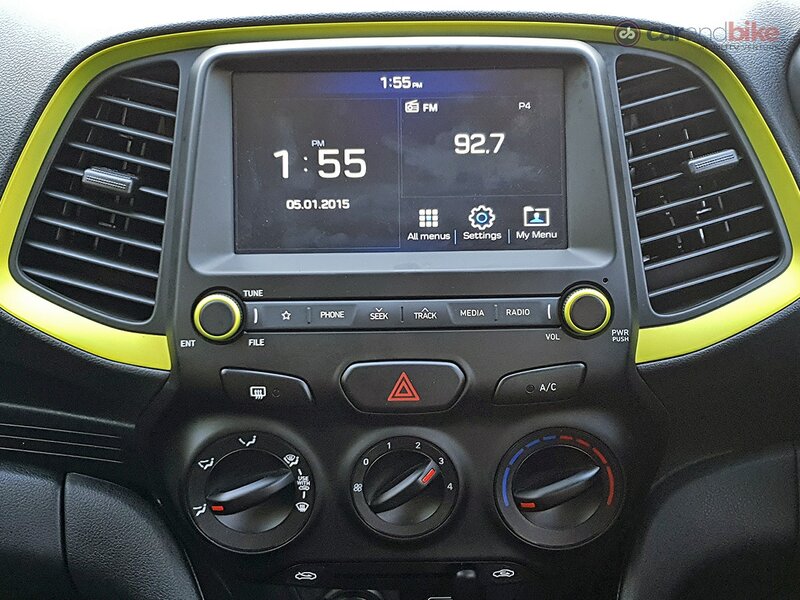 The first thing that grabs you about the new Santro when you begin driving is how good the car's ride quality is. That perception only strengthens as you drive further. 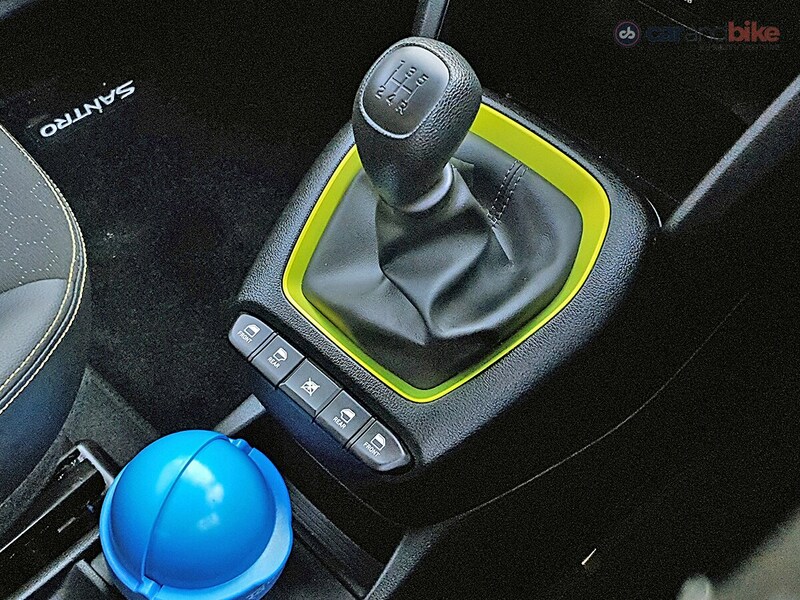 The Hyundai AMT is smooth with quick and smooth upshifts. It's not quite as smooth as a regular automatic, but yes you feel very mild jerks as the gears change. 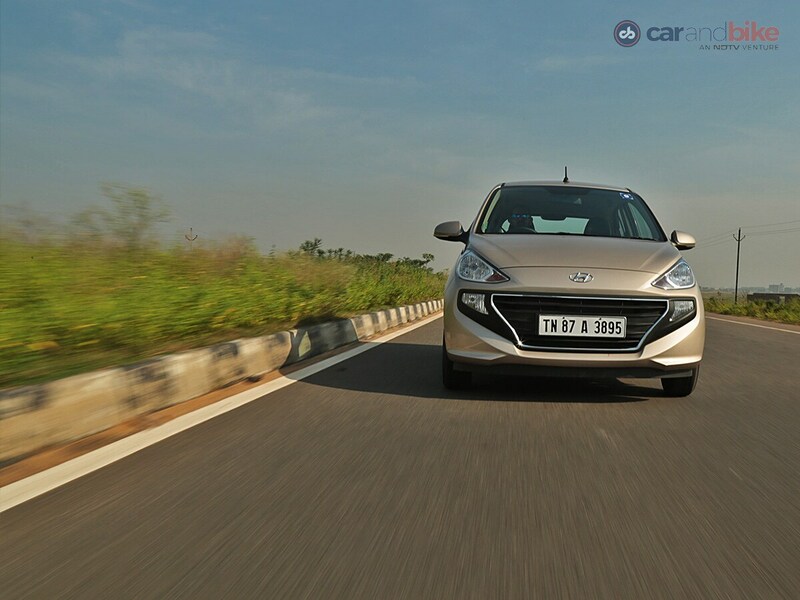 Handling is largely satisfactory on the 2018 Hyundai Santro - though things do get a bit disconcerting at higher speeds. The steering is good, but not stiff enough, and so it too lacks precision at higher speeds. 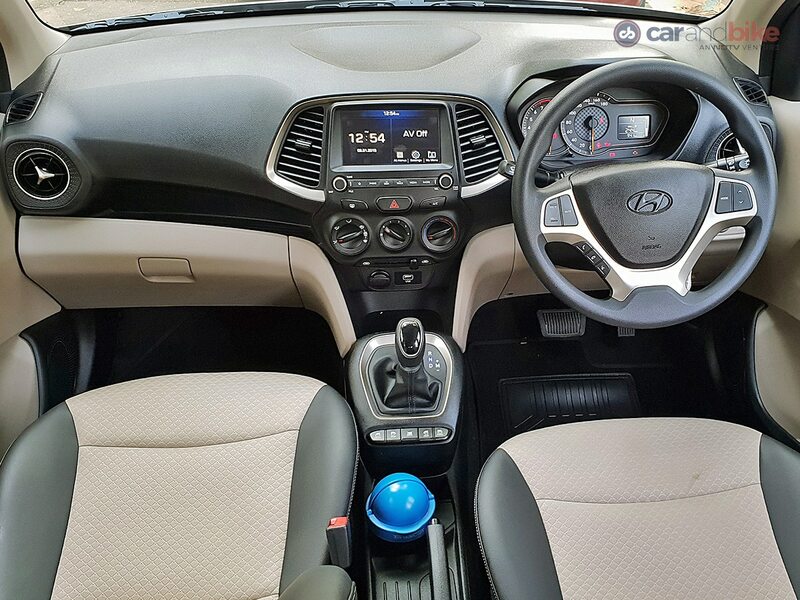 Hyundai has done a good job with the interior on the Santro, because you get a sense of better quality and better layout than most budget entry cars, and the two-tone beige and black dash works. 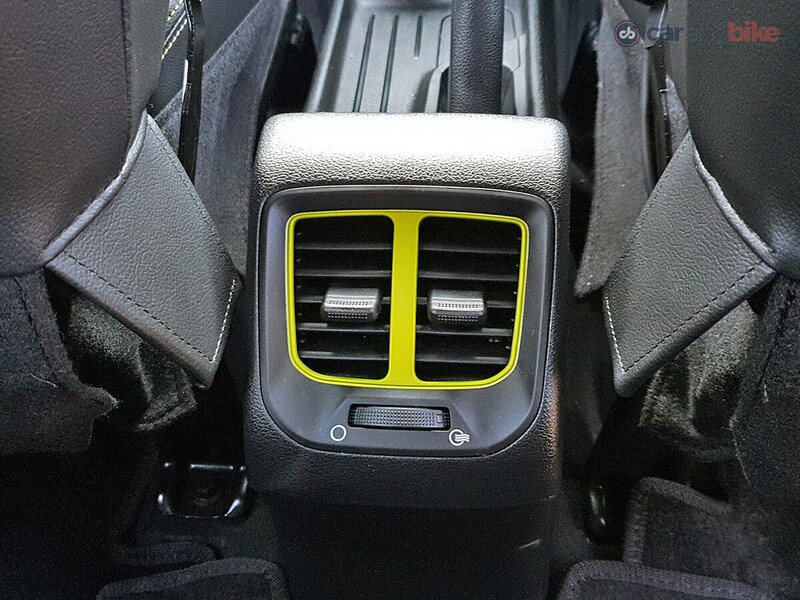 The central console and centrally mounted vents are meant to give you a sense of an elephant head -sort of Ganpati-like and so they're calling this the Indian touch! 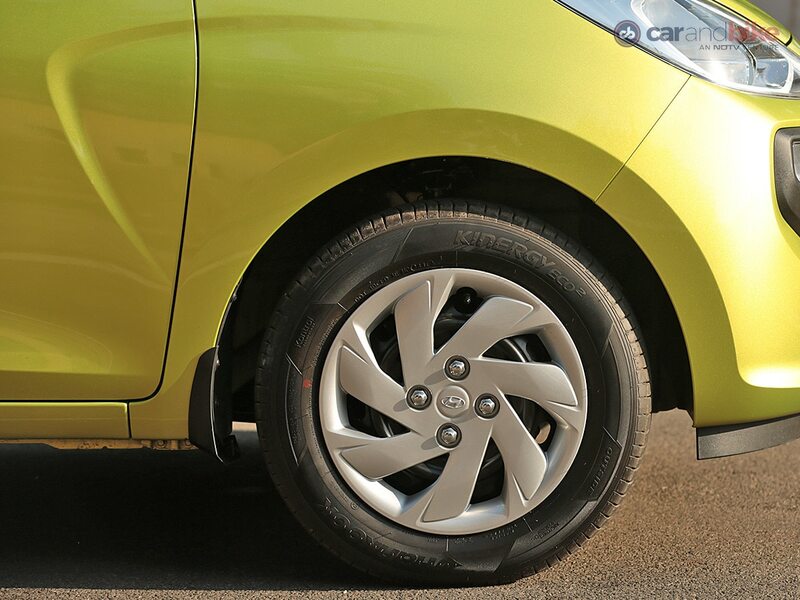 The rear AC vents are a segment first on the 2018 Hyundai Santro. 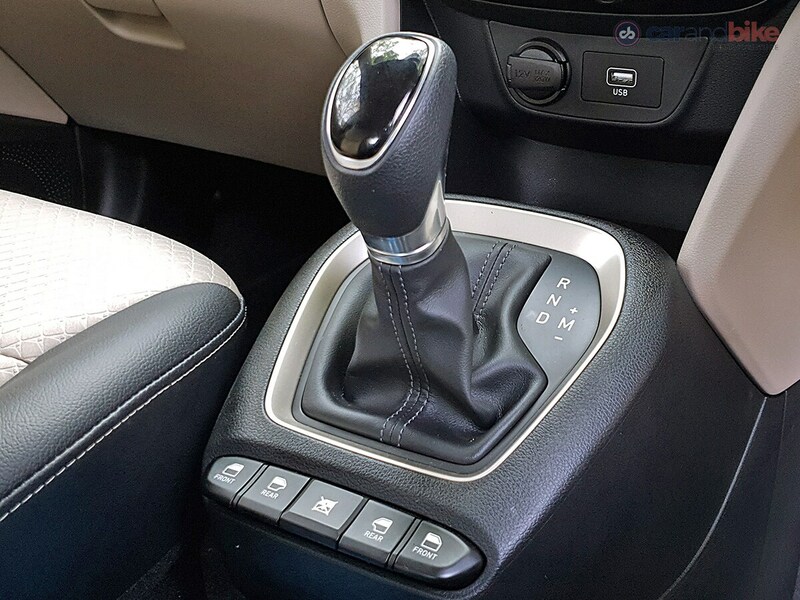 All four power window controls are inexplicably at the base of the gearstick. Hyundai says it's been done for 'family' convenience! That does seem a little crazy, and maybe a bit unsafe too. 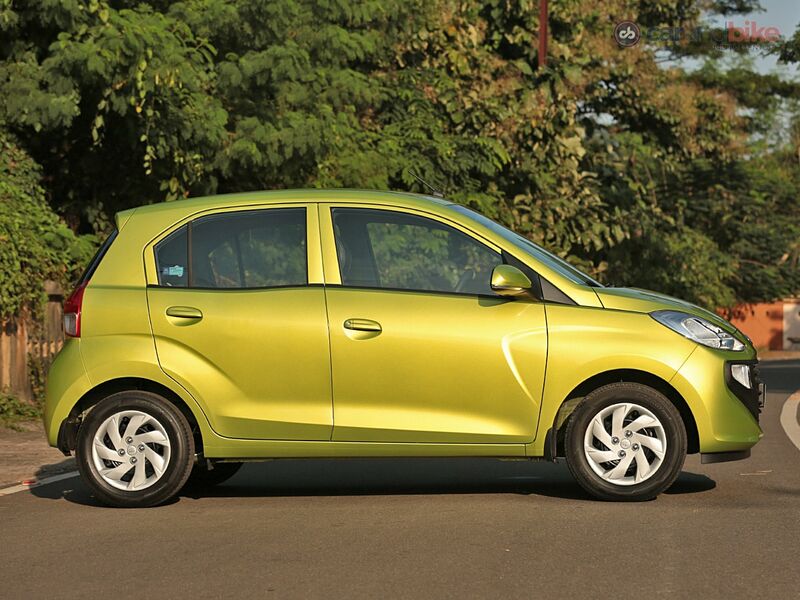 The Santro AMT also offers the creep function which makes it extremely convenient for city drives. 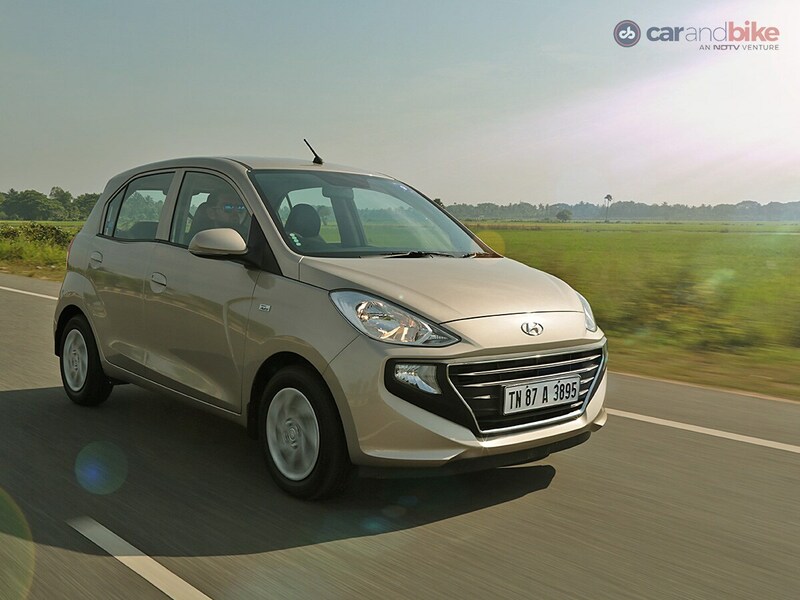 The 2018 Hyundai Santro does live up to the name, even though there were some obvious things I feel could make it even better. Its likely to become a runaway success - for several reasons.